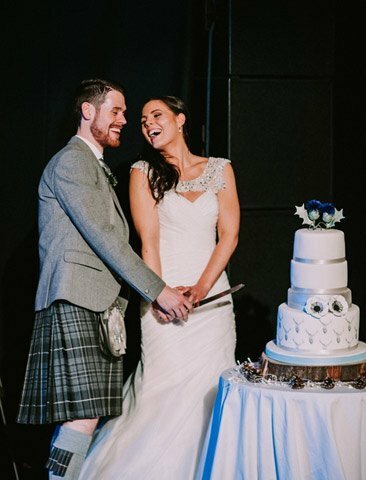 Jenny’s Cakes is an artisan wedding cake bakery based in Central Scotland, and are proud to be Multi Award-Winning Wedding Cake bakers. We are a professional family business, totally dedicated to designing, baking and decorating unique and delicious wedding cakes. We typically make only FOUR or FIVE wedding cakes each week, to make sure that we have time to make each cake with love and dedication. 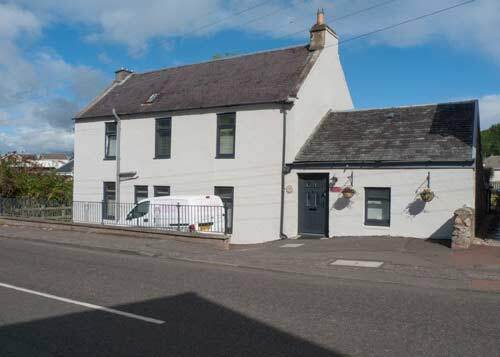 Started in 1986 by Jenny Breen in a purpose-built bakery in Crossford in the picturesque Clyde Valley, Jenny’s Cakes celebrated an impressive Thirty Years of professional wedding cake making in 2016, and we are still going strong in 2018! Jenny Breen is a professionally qualified baker, with four years full-time professional training at Birmingham Bakery college (where she achieved a College Associateship and National Bakery Diploma) and five years practical cake decorating experience in Birmingham and Bristol. 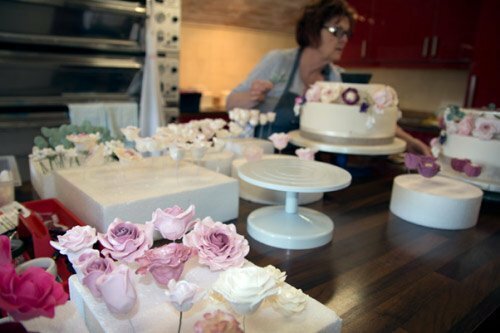 Jenny had Nine Years of training and experience before starting the business in 1986, so over 40 years experience to offer couples looking to design their dream wedding cake! 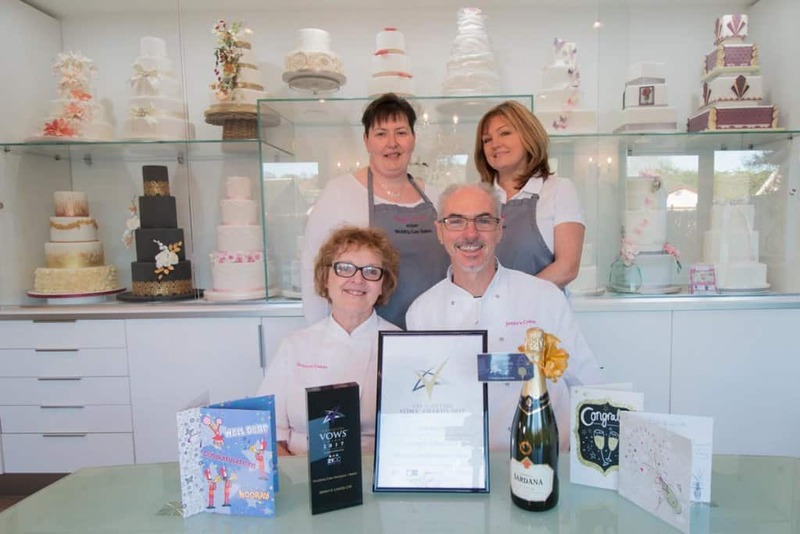 Between them, Jenny and Tom have amassed over 60 years cake decorating and bakery experience to help each couple get the very best cake for their wedding. 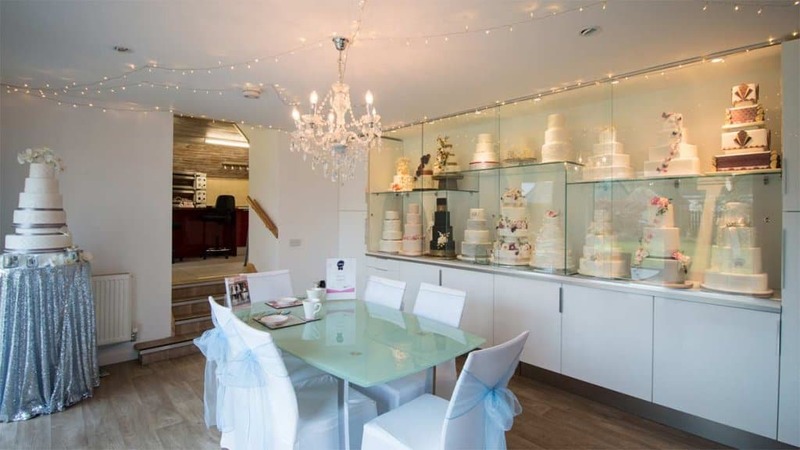 Wedding Cake Consultations in our Bakery Garden Room (Also known as ‘Tea and Tasters’ ). The bakery and garden room provide a purpose-built creative space for baking and decorating, and a display/consultation (The ‘Garden Room’), where Jenny and Tom meet clients for their highly popular ‘Tea and Tasters’ consultations. Couples looking to design their own bespoke wedding cake can arrange a private Wedding Cake Design Consultation to discuss their wedding cake ideas over a cuppa and some tasty cake samples. This is one of the secrets of Jenny’s Cakes success, as couples spend time with Jenny and Tom, discussing all aspects of their wedding in beautiful and relaxed environment. Spending time with clients gives Jenny and Tom an insight in each couple’s personalities, and the theme and scale of each wedding. Recent Testimonial and Photo from happy clients. 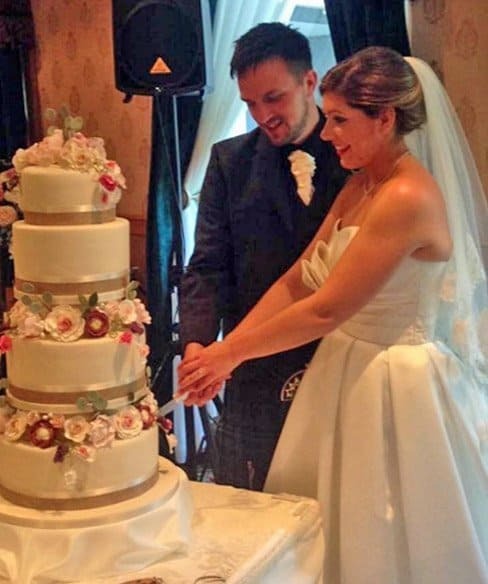 We just wanted to again write to thank you both for the amazing wedding cake. The cake was truly stunning. It really was perfect and was exactly what we had imagined, if not even better! It tasted superb as well, and lots of our guests have made lovely comments about it. The team at Jenny’s Cakes take tremendous pride in the work of the bakery, and regard each cake as a specially created unique design– the team place strict limits on the number of commissions each week, typically four or five weddings each week, to make sure that each cake receives the utmost care and attention. Our goal is to bring a big smile to each couple when they see the finished cake at their wedding reception. Our ‘Summer Garlands’ wedding cake, featuring sugar-crafted garlands of sugar flowers including roses, tendrils, buds, Sweet Peas, Ranunculus, Peonies, Eucalyptus leaves and a couple of tiny love-birds. Skull and Crossbones Wedding Cake with Dagger and Fake Blood! Sometimes clients are looking for something a bit different! One recent memorable example was Leeann and Jamie, and the result, which speaks for itself, is shown below! 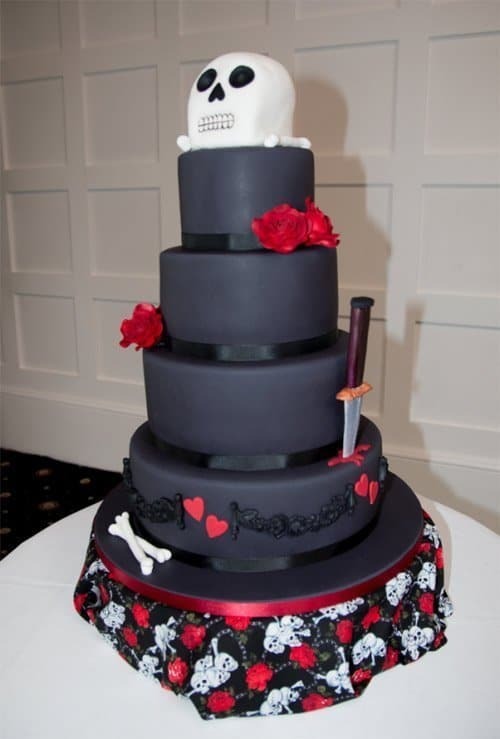 Wedding Cake coated in black sugar-paste, features a ‘Skull and Crossbones’ theme and dagger, all created in sugar. This very unusual wedding cake design also features baroque swags, deep red roses and red sugar hearts. We also sourced skull and crossbones fabric to cover the cake base. 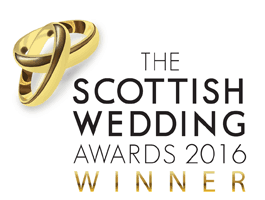 Jenny’s Cakes picked up the coveted VOWS AWARDS 2017 ‘Wedding Cake Designer/Bakers of the Year for 2017, having previously won the National Scottish Wedding Awards ‘Wedding Cake Designers of the Year Award’ for 2016. We were also finalists in The Confetti Awards 2017! 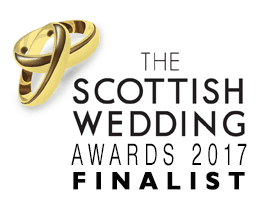 We are also finalists in the 2018 VOWS Awards, our third nomination in a row! Please contact us if you would like to arrange your personal wedding cake consultation to discuss your wedding cake ideas over a cuppa and some tasty cake samples. We look forward to welcoming you to our bakery in the near future! Jenny and Tom Breen, Directors/Owners, Jenny’s Cakes Ltd.